One of the concrete utility poles being installed in a Hollywood neighborhood. “The younger people are really really adept to technology which is really where we’ve pushed our company and they’re just, they adapt to it very quickly. In fact, they show stuff to us more seasoned people that really makes a good blend of a team,” said FPL Incident Commander Ralph Grant. That blend of old and new is put to the test every year when FPL holds storm drills at their offices and at staging sites. There are 90 of these sites throughout the state that FPL can transform into bases in the event of a storm. FPL also says it is trying to prevent storm damage in the first place. “This is not about restoring power. This is really about our efforts to try to prevent outages from occurring,” said Manny Miranda, the vice president of power delivery. 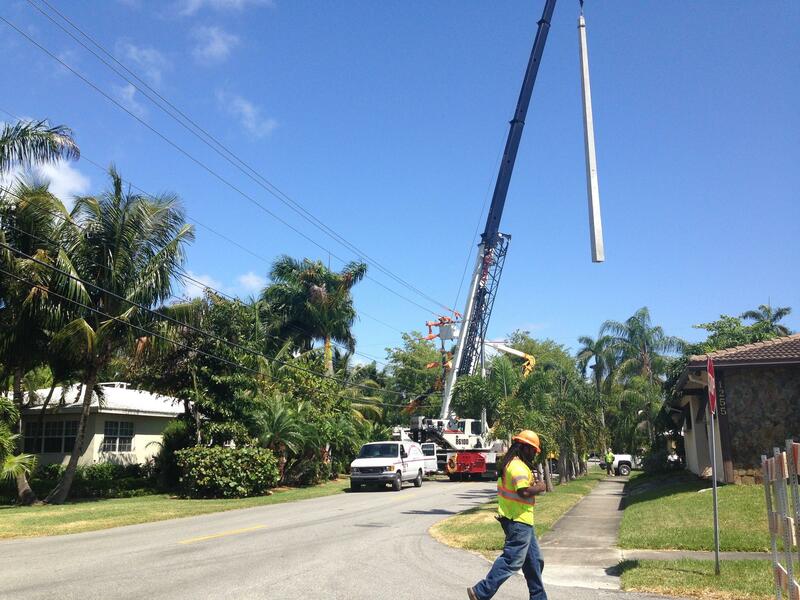 FPL stresses it is strengthening wooden utility poles or replacing them with concrete ones throughout the region.